My grandfather, the Reverend George Williams, introduced me to critters at a very young age. He always had horses, goats, chickens, and an occasional Brahma bull on his small farm in North Georgia area. 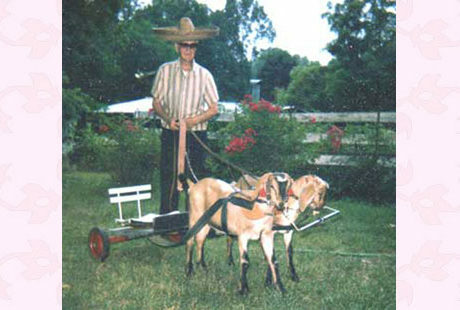 His goats, Abe and Abb, did a fine job of keeping the brush and weeds eaten down at his small farm in Rossville, Georgia. Many years later, I decided as an adult, to use the same concept myself. I believe Papa would be proud! 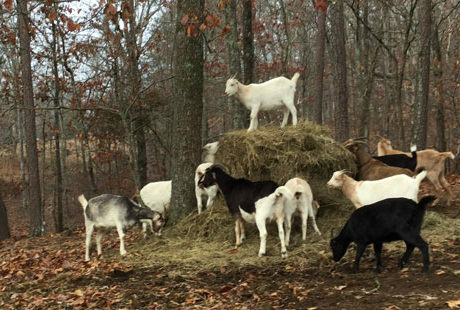 I searched several months before finally finding goats that were for sale. All of the goats shied away from me except for one. Her name was Ruby. 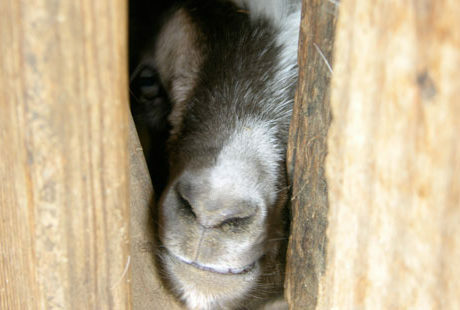 Ruby was a LaMancha goat that had been bottle fed when she was young. 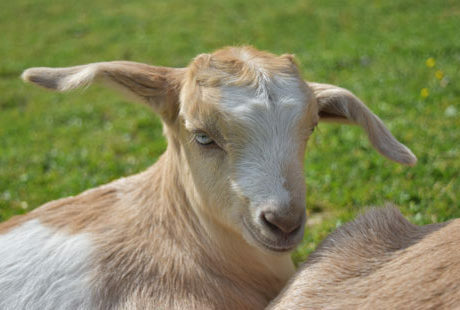 She was also different from the other goats in that she had little bitty ears. And she really liked people! I immediately fell in love with Ruby! And, best of all, Ruby was “in the family way” as my grandfather would have said it! 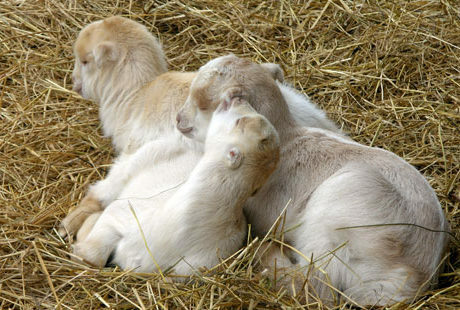 The idea of having baby goats was exciting, so I said I would buy two other goats and Ruby. 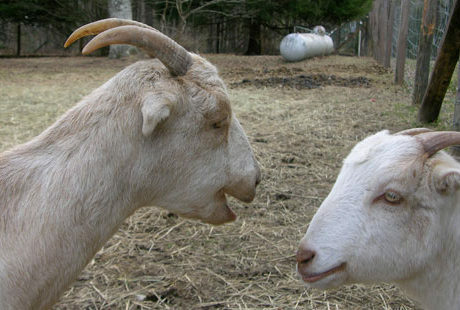 The deal was sealed and delivery of my new goats would be the next Saturday! Saturday came and my new goats were delivered and my “weedeaters” began their task at their new home. 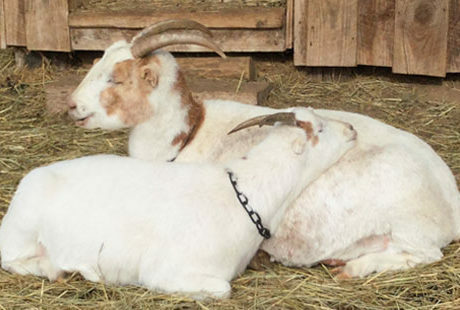 Ruby soon gave birth to two little does, and started producing about two gallons of goat milk everyday! After the little “girl goats” were weaned I started trying to figure out what to do with all of her goat milk. Having been in the corporate world of advertising and graphic design for over 30 years, I was ready to try my hand at something different. After I figured out how to separate the milk from the goat – I started reading and studying everything that I could find about the theory of soapmaking. For months I made batches of soap with every recipe I could find and create (over 30 batches that I didn’t like for one reason or another) until I finally hit upon my own “secret recipe”. I knew when my mother Willene said that she loved it, I had created a product that everyone else would also love. 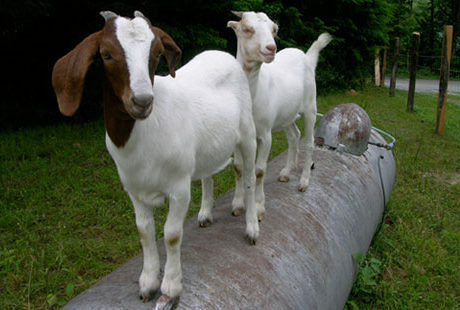 And that’s how Sassy Goat Milk Soap was started! 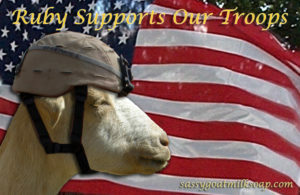 Since May of 2005, I have been making and selling Sassy Goat Milk Soap across the United States and Internationally through the on-line store on my website. 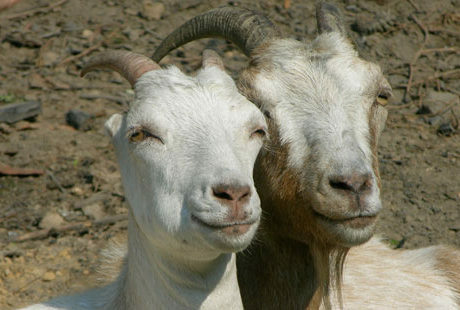 Currently Sassy Goat Milk Soap consists of me and my herd of LaMancha goats. I personally create Sassy Goat Milk Soaps, shampoos, lotion, lip balm, and other products. I use only the finest ingredients in every product including fresh 100% LaMancha goat milk I hand milk from my own small herd. Sassy Goat Milk Soap products are pure and fresh, containing absolutely no harmful ingredients, perfumes, preservatives or fillers.